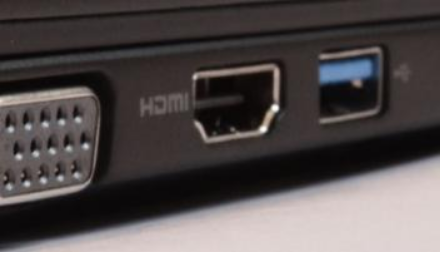 HDMI port not working is a rather common problem. When it occurs, you can’t get any sound or image from the device while using this port. In this post, we’ve listed 5 solutions for this problem. All of them have worked for other users. So, we’re sure at least one of these will also work for you. Try out these solutions in the order they appear, until the HDMI port not working issue is fixed. 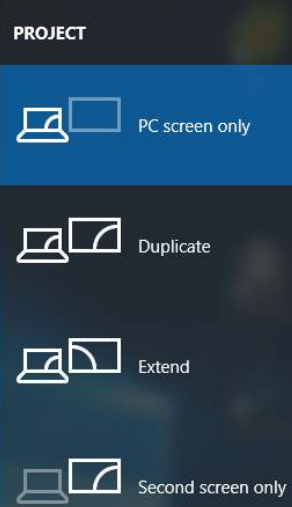 Are you encountering this issue while using two monitors on your desktop PC or laptop? If yes, there’s a good chance that the display setting enabled is wrong. Therefore, before you proceed further, check the display setting. Press the Windows icon + P keys on your keyboard simultaneously. A window listing all display modes is going to appear on your screen. Here’s what each mode means. You may want to experiment with different modes one-by-one. Pick the option that matches your needs best. 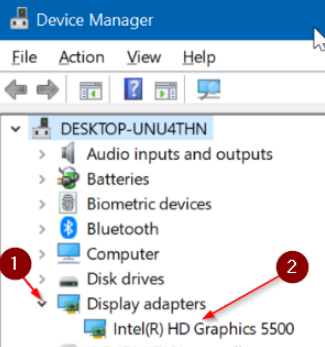 If the display settings are right, images will appear on your screen connected through HDMI. Some users have stated that they were able to fix the issue by simply restarting and then reconnecting the devices. As this is a simple and quick fix, we recommend you give it a go. Problem with your graphics drivers can also lead to HDMI port not working. 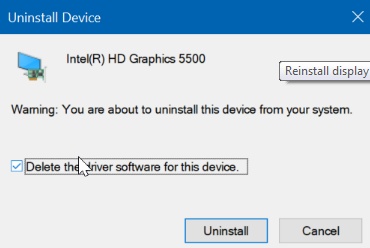 First, reinstall the graphics card driver. If the problem persists, update the graphics driver. 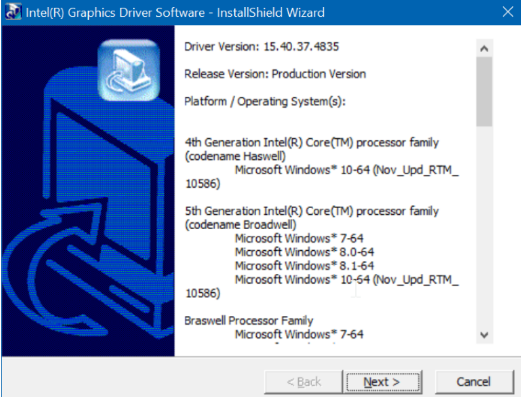 You can update the graphics driver manually or by using a driver update tool. We’ll discuss both methods in the post. Write down the name of your graphics or video card. Now go to the card manufacturer’s site or your computer manufacturer’s site, look for the latest driver for the graphics card or PC model. Alternately, you can type the name as well as the model number of your video card in Google search bar and locate the latest driver. Once you’ve found the relevant driver, download the driver file and save it on the desktop or anywhere else. Before you download the driver file, make sure it corresponds to your PC type. That is, if you are running Windows 10 32-bit, the file should be for 32-bit Windows 10 PCs. 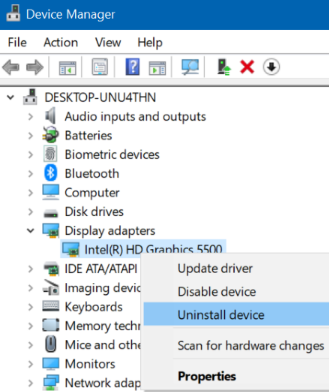 Similarly Windows 64-bit users need to download the driver file meant for 64-bit Windows 10 version. Upon restart, run the video driver’s setup file that you have downloaded. Follow the instructions on your screen to finish installation. If asked, reboot Windows again. As you can see, this process is time-consuming and requires a certain amount of technical knowledge. Moreover, there’s always a risk that you might download and install a wrong driver by mistake. On the other hand, updating graphics driver with a driver update tool is swift and fool-proof. We recommend you use DriverDownloader. Not only it is quick but it is also very reliable. Just click the green button below to get DriverDownloader. Once you’ve downloaded the software, install and run it. Next, you need to register it. Because the software features 30-day money-back guarantee, you can try it out without any worry. Also as a registered user, you can contact customer support in case you need some help in using DriverDownloader or some other assistance related to the software. The troubleshooter will now search for any HDM ports related issues and then automatically fix them. If nothing has worked, it’s possible that hardware issues are causing the problem. You can try replacing your present HDMI cable. If the problem is because of the HDMI cable, this step will resolve it. In case this doesn’t work, too, try the HDMI connection with a different computer or monitor or TV. In case the connection works fine with another device, probably there’s some problem with the previous device. In such a case, it will be a good idea to get the device checked. So, which of these solutions worked for you? Please do leave a comment. It may help other users.